Beginning a career in acting means developing a strong set of skills that are needed for succeeding both on-and-off stage and overcoming a lot of hurdles. Perhaps there is no other profession that can provide you with a straightforward path to success as compared to acting. Anyone who is pursuing this career path has to make several decisions along the way such as whether to complete formal education from a professional acting school or get a college degree, how to get real acting experience and the pros and cons of using a manager or agent. If you are serious about starting a career in acting, then this comprehensive guide can be immensely valuable to you. As an actor, you have to give auditions for different roles, rehearse lines and give performances according to the instructions of the director. You are required to work in a variety of environments. Some jobs are during live events whereas others are in theater, film or television. You may also have to work as an ‘extra’ in order to earn an income because acting doesn’t exactly offer you steady work. You may have to audition regularly and your working hours can be quite irregular. You may have to work on the weekends, in the evening and even during holidays. Lots of actors, like those in theater, are also required to travel with a tour all over in various areas of the country. An actor is a creative individual who has to work as part of a team. As part of your education, you will be required to develop strong critical thinking skills that are essential for interpreting different characters you have to portray. You also have to have a good memory because you need to learn lines quickly. You need to be an effective speaker and a good listener and you should also be able to accept constructive criticism. Flexibility is also imperative as your job may involve adjusting to changing set of expectations. The career path of an actor begins before graduation. If you aspire to be an actor, it is essential for you to determine early on if you have the talent and wherewithal to cope with the difficulties and competition. One of the best ways you can learn the art of crafting is by participating in your high school theater program. You can develop your skills through high school drama classes and production and it also gives you some experience about how it feels to perform in front of a live audience. This is also a great way to prepare you for countless auditions to come ahead when you venture into the world of professional acting or go for a college or university drama program. 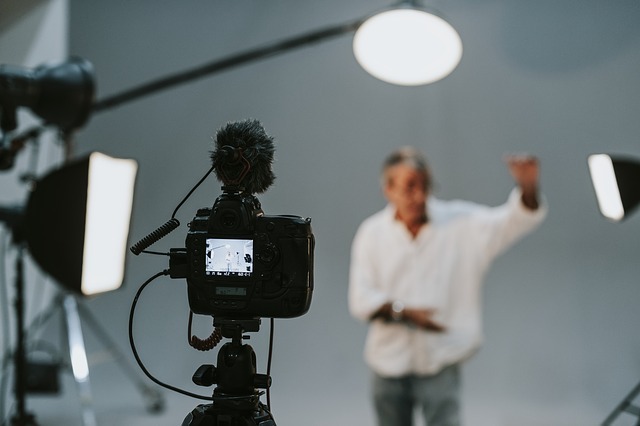 Although a college education is definitely not mandatory for succeeding as a professional actor, you can benefit from a formal university or college drama program. Almost every major public or private college offers you post-secondary drama programs and you can even find them in community colleges. Through these programs, you can acquire a wide range of performances skills in classes on theater history, acting theory, dance, stage production, music and acting. Moreover, college productions also give you the opportunity of getting discovered by producers and agents who are in search of promising new talent. You need to bear in mind that acting is a very competitive career and it can be years before you can actually make a solid living, regardless of how talented you are. In the meantime, it is necessary for you to keep on improving your craft. You can accomplish this by attending regular acting classes, performing in local theater groups for free and going to workshops. This is where your actual professional training happens. They provide you an environment where you can stretch your creative muscles so they keep you in top form. These are also great networking opportunities and you can establish a good reputation thereby benefitting from word-of-mouth. Even though it is not necessary for beginning your career as an actor, representation by a reputable and experienced agent can increase the chances of professional success. They are your direct connection to the world of show business. They are aware of the good parts being cast as they work closely with casting directors and industry professionals and they can also help you in avoiding rookie mistakes. Furthermore, your agent handles most of the business tasks involved in an acting career and this leaves you free to focus on your acting. It may be a bit difficult, but thorough investigation and effort can aid you in finding a legitimate agent.